Struktol Company of America’s expanded product line for engineered plastics have been designed to provide greater processing and performance capabilities for compounders, processors, and end users. STRUKTOL® TR 063A is a highly-efficient lubricant and viscosity reducer for nylon 6 and nylon 6,6 compounds. The product boasts a novel chemistry which makes it highly compatible with polyamides and is superior in performance to alternative lubricants such as Montan ester waxes. TR 063A provides compounders and processors with a cost-effective, versatile process additive that can significantly improve throughput and efficiency. STRUKTOL® TR 063A can be added directly at the compounding stage or by the processor during part manufacturing. In pellet form, it can be easily added to extrusion or injection molding machines. STRUKTOL® TR 044W provides a combination of viscosity reduction and mold release characteristics for polycarbonate resins and compounds. Loading levels as low as 0.2% result in increased melt flow and allow for significant improvements in mold filling and release. Processors using STRUKTOL® TR 044W in clear applications will see minimal haze development even at higher loading levels. 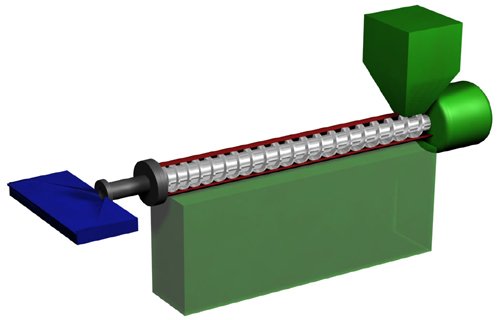 The improved processability can result in lower molded-in stress in injection molding applications that often will mean better part performance. The product is also effective in highly-filled polycarbonate compounds, providing improved dispersion and lower viscosities. For added metal release, processors of nylon 6 and 6,6 will find STRUKTOL® TR 077 to provide additional benefit. It exhibits added external lubricity for both extrusion and molding applications. It is an excellent replacement product for applications where traditional powder zinc stearate is currently being used, offering superior processing, as well as better handling due to pastille product form. It also works well in many other polymer systems including polystyrene, concentrates, thermosets, and many olefins. It also meets the requirements of many FDA applications.